In our previous post, we gave some tips on how to decorate a small apartment. 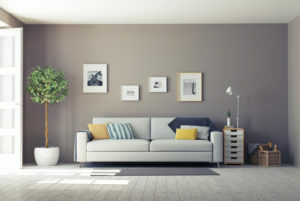 Whether you live in off-campus housing or have a tiny apartment complex, check out these tips and see how they can make your small space feel like a luxurious penthouse! This durable accessory is great for more than just camping! It is useful for storing things when you live in student housing. Examples include scarves, important mail, bathroom supplies such as toothbrushes and floss, along with pictures. Simply take a small wooden board, drill two holes in far enough apart so the bungee will be taut and weave the cord through. And there you have it, easy wall storage space with little cost. School supplies, silverware, even makeup and personal hygiene products all are small enough to be hoisted onto a large magnet board. Get creative with this — grab a large magnetic board, put small magnets on the back of the items you choose, and boom, a unique storage and decorating option with little fuss. This can take a little handiwork but is a good idea if you’re planning on spending time in your rental spaces for a while. Create a tall, but thin, shelf that you can slide right next to your fridge. This maximizes kitchen space and keeps clutter out of the way. No need to buy a shoe organizer, just grab a case of wine! These boxes already come with handy dividers, so no need to search for your missing left shoe when you’re in a hurry. Store under your bed or on the floor of your closet to save the most space. Don’t have room in your place for a specific area just for your desk? No problem — make it mobile! There are plenty of different mobile desk options available and this gives you the flexibility of working wherever you’re the most comfortable. Considering that nearly 50% of all moves take place during the summer, make sure you are ready with all these small apartment amenities before your big move! Looking for off campus housing at the end of summer? Look no further than Apartment Genie, we’re here to help!